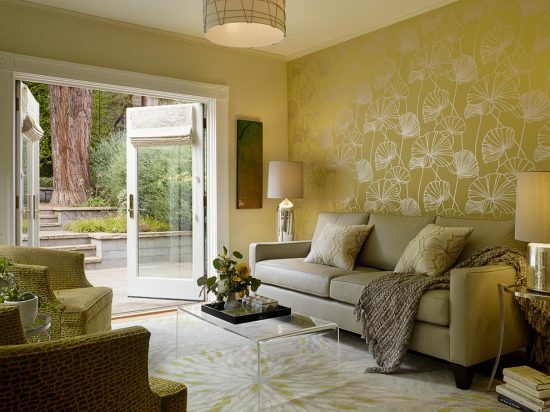 Providing your home a feminine look doesn’t necessarily mean to create an all girly look using pink and white colors and flowers. Yet, you can create such an effect using elegant Victorian or French décor along with restful and soft colors and a few bold accents. 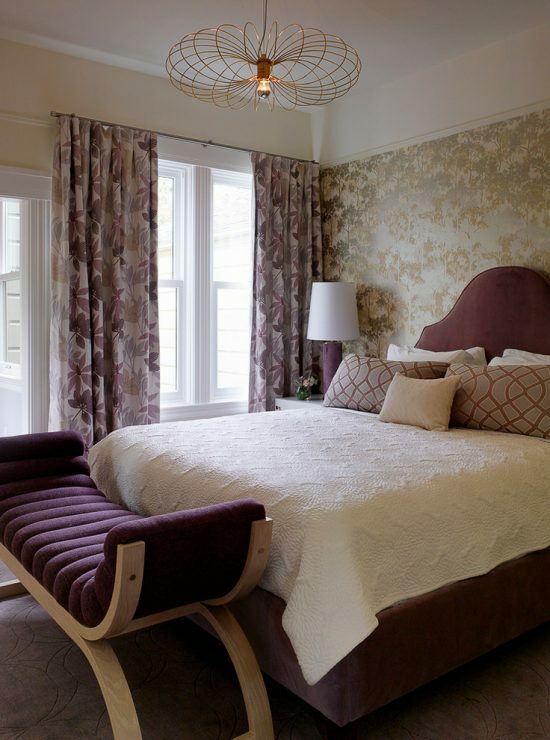 patterned wallpaper, floral-shaped chandeliers, and velvet upholstered headboards. 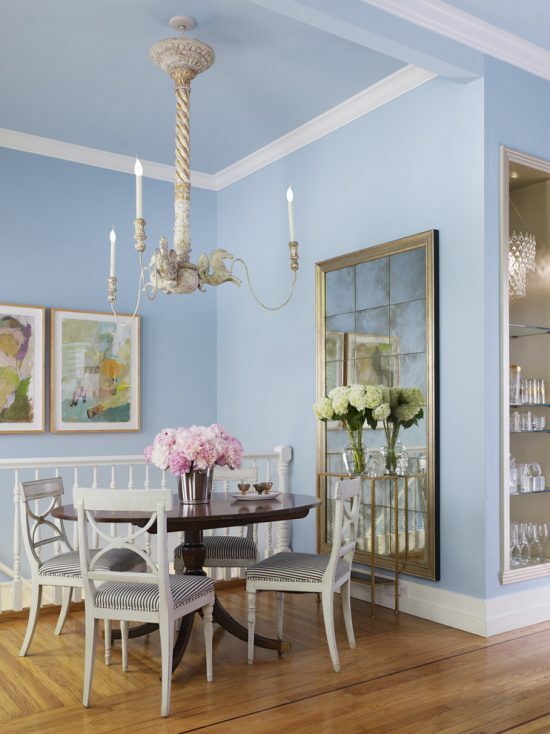 Melanie uses these elements because the homeowner ” thinks of her home as her sanctuary, but she is also very stylish and has a young daughter, so all of those factors came into play.” according to Coddington. To create balance with such Victorian elements, the designer uses modern elements like the lacquer nightstand, leather seating furniture, and geometric shaped accessories. 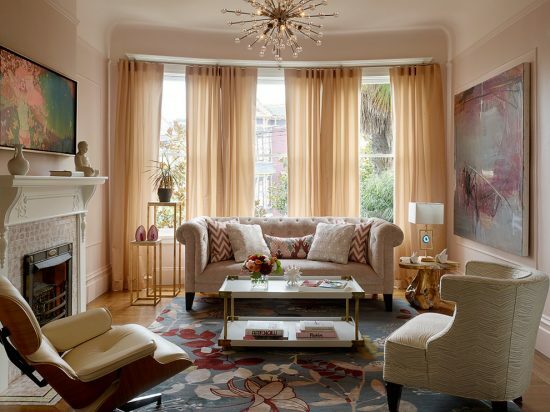 In San Francisco, Melanie Coddington creates a girly modern harmonized look using vintage antique furniture and charming patterned wallpaper. In the breakfast nook, Melanie uses elegant curvy upholstered loveseat and chair and a bi-level table to create a restful feminine area. 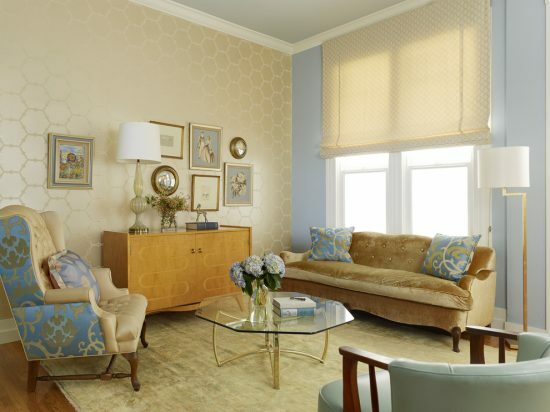 For a fabulous and interesting look in the living space, the designer installs golden beaded wallpaper with blue upholstered chairs and patterned sofas and pillows with blue and golden accents. 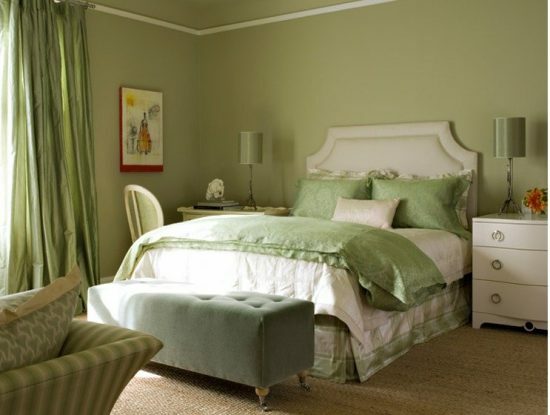 For a young girl, Melanie Coddington and her team create an asymmetric feminine look using soft green pallet, French pendant lamps, lacquer nightstand, and floor-to-ceiling curtains. 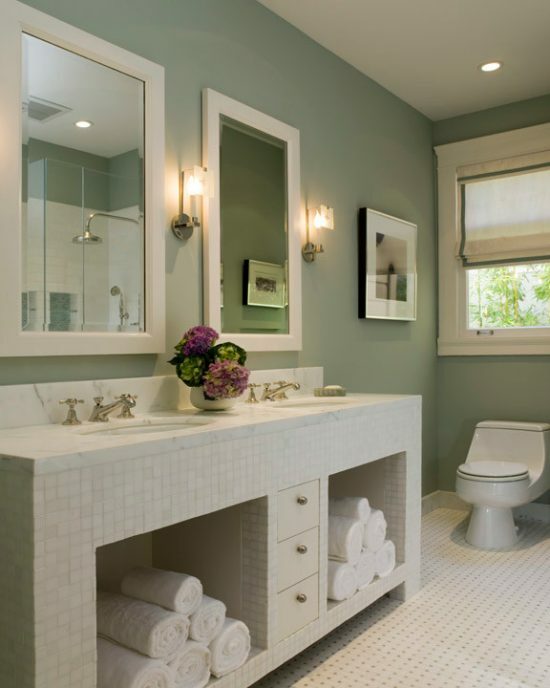 The color unifies such a bedroom with the attached seating nook and bathroom with their elegant mosaic tiles and marble accents.